It seems that when it comes to Coffee, the whole wide world is hooked. We also have varying tastes that are linked to personality traits. 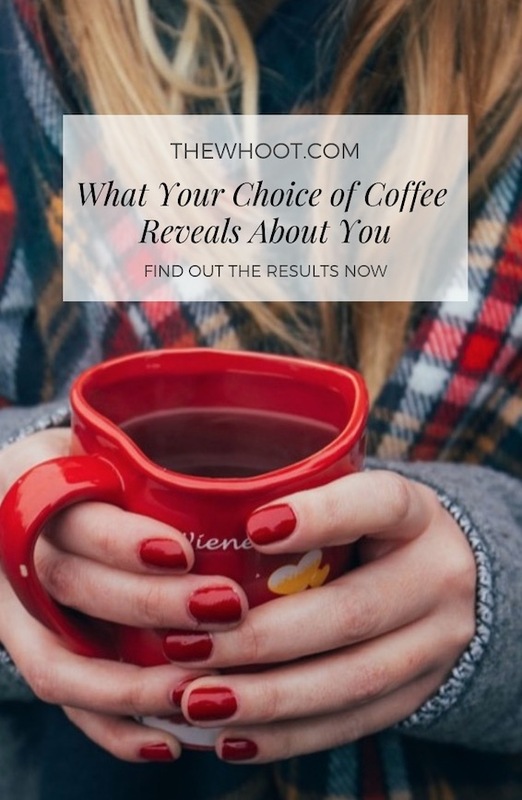 See what your coffee choice reveals about you. It seems plenty of people are serious, especially when it comes to their Coffee. In fact, addiction is a real thing and many can’t function without their daily dose! Today there are endless combinations ranging from traditional to the likes of Turmeric Golden Milk and Bullet Proof Coffee. 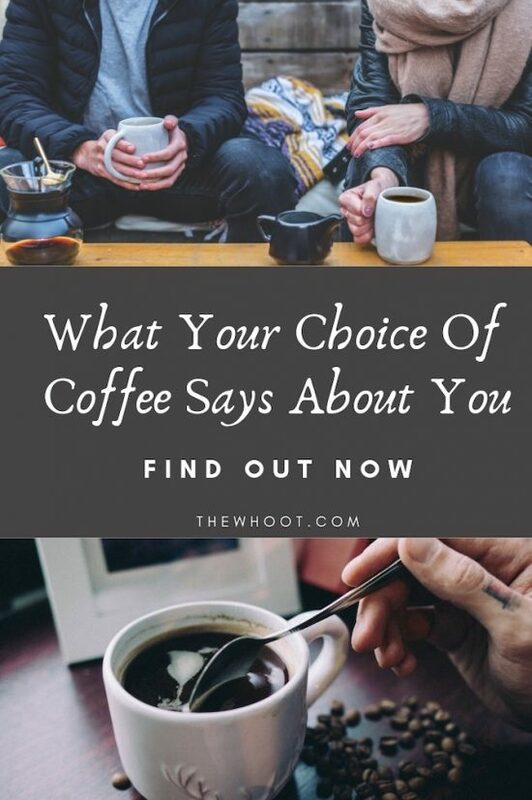 Here is a fun breakdown from Dog House Diaries about what your coffee says about your personality. Americano drinkers are apparently calm and conscientious whereas Latte’ drinkers can be often indecisive. It’s one of the reasons they generally select the safe pick! 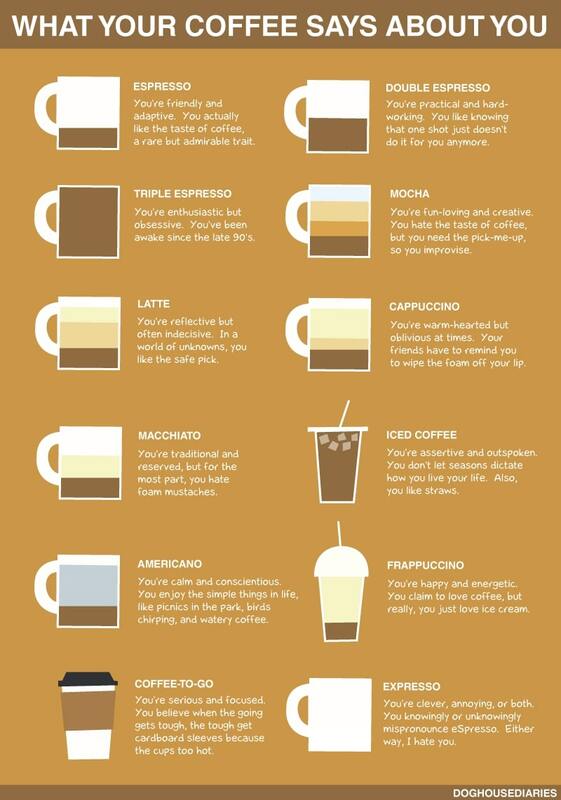 According to Buzzfeed, there are 9 types of coffee drinkers. They reveal them all in this video and you may just see yourself or a friend amongst them.